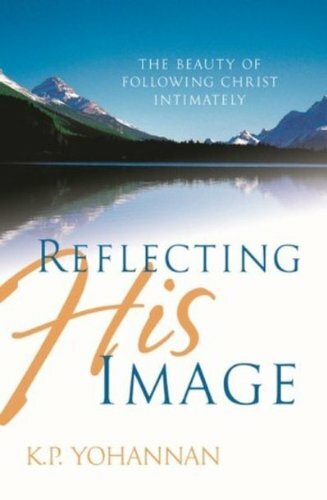 Excerpt from Chapter 18 of Reflecting His Image (ISBN 978159589005X) © 2004 by KP Yohannan, the president and founder of Gospel for Asia. This entry was posted in Reflecting His Image and tagged Christian-living, Christianity, Deeper-life, Discipleship, Dr. KP Yohannan, gfa, Gospel for Asia, Jesus, K.P. Yohannan, KP Yohannan, Spirituality on April 15, 2014 by gfaseo. A few months ago while on the mission field, I met a brother who has a death warrant on his life for preaching the Gospel. He has been imprisoned many times, beaten, stabbed, shot at and on the run for months at a time. Yet he is eager to endure all these things in order to win one more soul to his Savior and King. “My life is nothing,” he says. “It all belongs to Jesus.” This brother has a wife and children who suffer alongside him—willingly. For them, Jesus is worth it all—the best reason to live. To be confronted with the reality that over 2 billion unreached people will plunge into hell unless they receive a chance to hear the Gospel is irritating, troublesome and uncomfortable to many believers. Why? Because their desire is to enjoy their salvation, families, church fellowships, seminars and conferences without such a painful interruption. Similarly, when the apostle Paul described to Timothy why the last days would be so difficult, his number one reason was: “For men will be lovers of themselves” (2 Timothy 3:2).There is no statement that more accurately describes the mindset of our present generation. We are constantly bombarded and counseled to be protective of ourselves, our possessions, our rights and our wants. Everywhere we turn we are told that we deserve the best. In fact, we are offered self-help books and services on every conceivable subject. Whatever happened to the war we are supposed to be in and to the command: “And do not be conformed to this world” (Romans 12:2)? Jesus taught us that the laws of the kingdom of God are in sharp contrast with the mindset of this world. For example, “For whoever desires to save his life will lose it, but whoever loses his life for My sake will find it” (Matthew 16:25). We are fooling ourselves if we attempt to practice a Christianity without embracing the cross and death to our own selves. Winning this world for Jesus will never happen until we have the mind of Christ: “The Son of Man did not come to be served, but to serve, and to give His life a ransom for many” (Mark 10:45). Having the mind of Christ sets us free from our self-centeredness and enables us to minister to the Lazarus in front of our door! It starts with a deliberate decision to walk away from the mindset of self-preservation and allow the Lord to pour out our lives for the millions who have never before heard the name of Jesus. Excerpt from Chapter 16 of Reflecting His Image (ISBN 978159589005X) © 2004 by KP Yohannan, the president and founder of Gospel for Asia. This entry was posted in Reflecting His Image and tagged Christian-living, Christianity, Deeper-life, Discipleship, Dr. KP Yohannan, gfa, Gospel for Asia, Jesus, K.P. Yohannan, KP Yohannan, Spirituality on April 8, 2014 by gfaseo. Excerpt from Chapter 14 of Reflecting His Image (ISBN 978159589005X) © 2004 by KP Yohannan, the president and founder of Gospel for Asia. This entry was posted in Reflecting His Image and tagged Christian-living, Christianity, Deeper-life, Discipleship, Dr. KP Yohannan, gfa, Gospel for Asia, Jesus, K.P. Yohannan, KP Yohannan, Spirituality on April 1, 2014 by gfaseo.